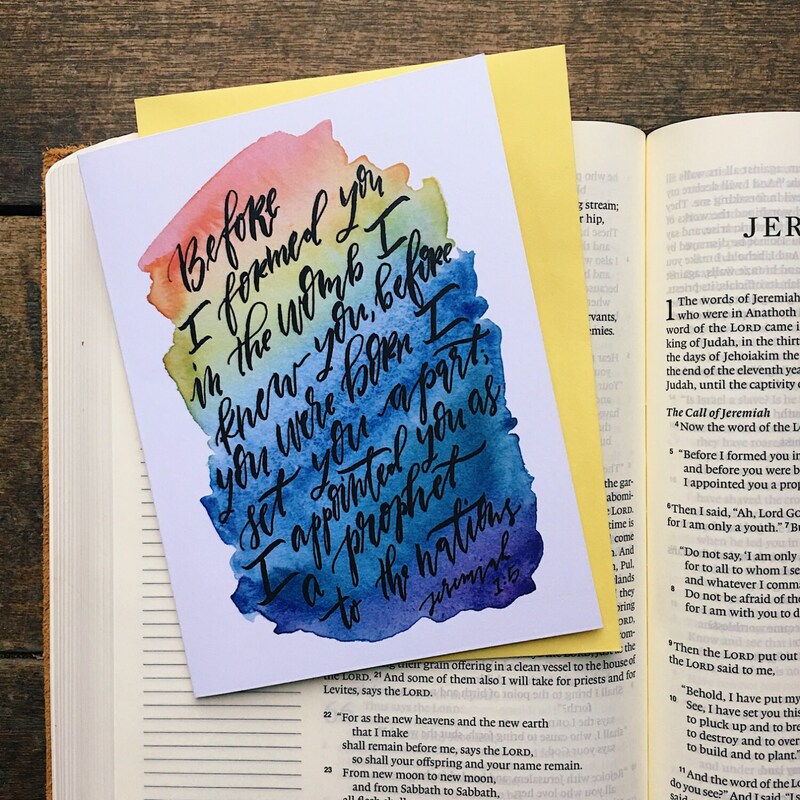 This scripture card features the verse Jeremiah 1:5 that reads, "Before I formed you in the womb I knew you, before you were born I set you apart; I appointed you as a prophet to the nations." 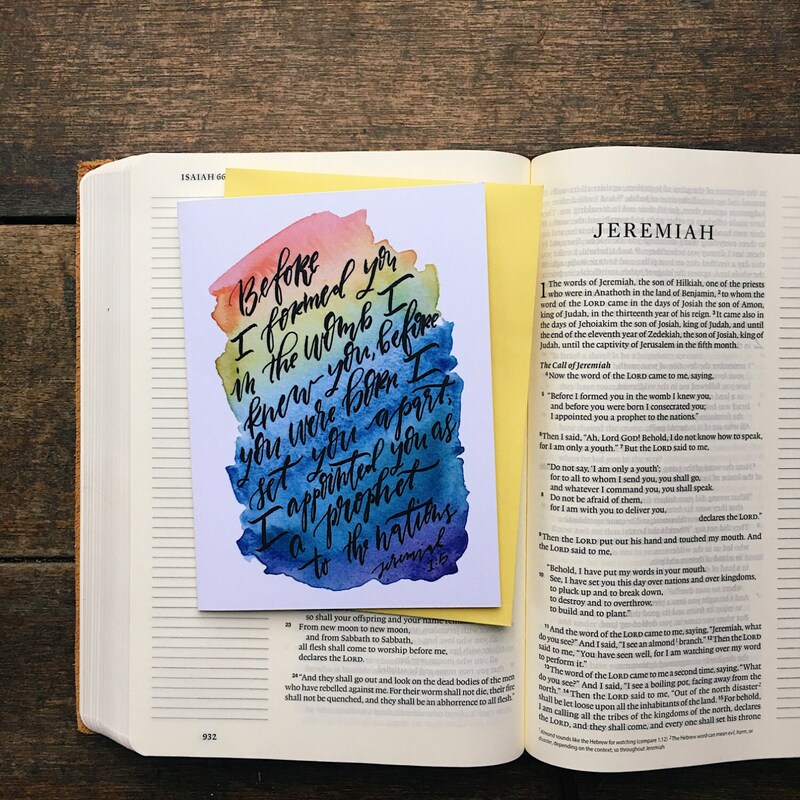 The perfect scripture to celebrate the arrival of a "rainbow baby" and God's great love for His children! Professionally printed on heavy weight card stock and includes kraft french point envelope. A6 sized.